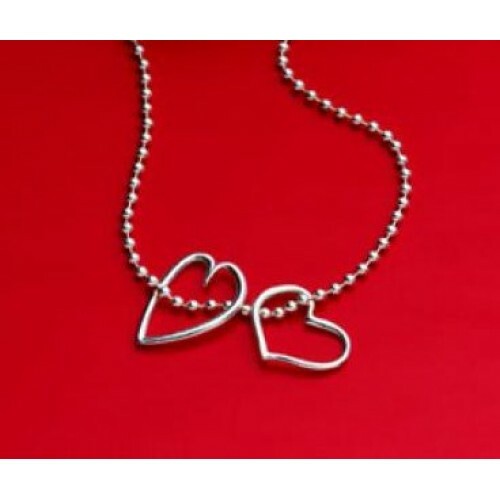 At last a lovely silver necklace with two entwined hearts. Beautifully made and beautifully packaged in a red velvet bag. Hearts and chain are sterling silver. Chain is 18 inches long. "A part of you grew in me. And so you see, we will always be together forever and never apart, maybe in distance, but never in heart."